Homer Simpson’s ignorance of New Mexico’s statehood is now being replicated by multiple real life government employees in Washington D.C. Anyway, the recent news article talks about how a citizen of New Mexico had applied for a marriage license in Washington D.C., but the government clerk was not willing to accept the man’s New Mexico driver’s license as proof of U.S. citizenship. The clerk said that the man would need a passport. 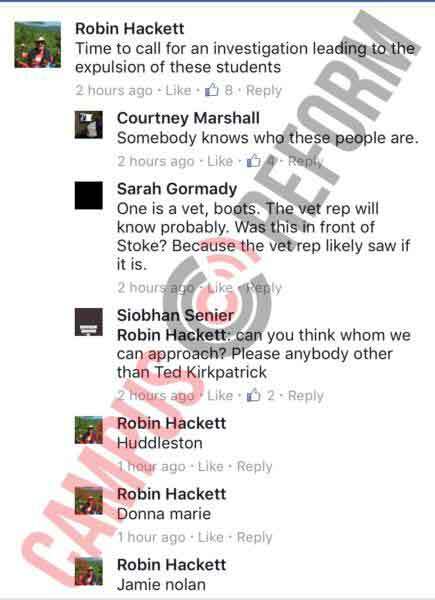 Such ignorance among a government employee who handles these kinds of things is inexcusable. And how is it even possible for an adult who lives in the U.S. to not know that there is a U.S. state called New Mexico? It was funny when Homer Simpson – a fictional character – displayed such ignorance. But it’s pathetic to be coming from a real life employee of the Washington D.C. government. To make it worse, when the clerk went to ask a supervisor about this, the supervisor was also unaware that New Mexico was a U.S. state. The supervisor also said that the man would need a passport. All together, it took a whopping 20 minutes until one of the multiple government employees in the department was finally willing to admit that New Mexico was indeed a U.S. state. LAS CRUCES — Gavin Clarkson, a recent candidate for New Mexico secretary of state, experienced a one-of-our-50-is-missing moment earlier this month when applying for a marriage license in the nation’s capital. Clarkson, who lives in Las Cruces, and his then-fiancée visited the District of Columbia Courts Marriage Bureau on Nov. 20 to apply for a marriage license. But, once there, the couple encountered a small problem, Clarkson said. The clerk wouldn’t accept Clarkson’s driver’s license — from New Mexico — as proof of his identity. Rather, the clerk, who mistakenly believed Clarkson was a foreign citizen — said he would have to provide an international passport to get the marriage license. After Clarkson objected, the clerk went to check with a supervisor, who confirmed Clarkson would need a passport. “You know you are from flyover country when you are applying for a marriage license, give them your New Mexico driver’s license, and they come back and say: ‘My supervisor says we cannot accept international driver’s licenses. Do you have a New Mexico passport? '” Clarkson posted on Facebook recently. Speaking with the Sun-News about the incident, Clarkson said the clerk went back to check a second time about whether she could accept a New Mexico driver’s license as proof of identify. After that, the personnel finally concluded New Mexico was in fact a U.S. state and accepted his driver’s license along with the application. The incident took about 20 minutes altogether, and the clerk kindly apologized for the error, Clarkson said. While it was an annoyance at the time, looking back, he and his wife see the humor in it. The couple’s wedding ceremony — which also took place in Washington, D.C., where his wife lives — took place without any problems. “Everything else went fine, but it was a comical moment in the whole process,” he said. Notably, Clarkson is also an enrolled member of the Choctaw Nation. If he’d shown that ID to the marriage bureau, he said, it could have cleared up the confusion over his identity. “Apparently it would have been easier if I’d shown her my tribal ID,” he said. The D.C. courts system acknowledged the staff error in response to a call from the Sun-News. Clarkson is not alone in his experience applying for a marriage license. In a regular feature dubbed “One of Our 50 is Missing,” New Mexico Magazine for years has documented with comedic flair New Mexicans’ frustrations and trials in trying to persuade non-New Mexicans across the country — and sometimes the world — that New Mexico is in fact one of the 50 U.S. states. The Clarksons have since celebrated their wedding with a reception in Texas, where Marina’s family live; they plan to also have a reception in New Mexico. Since the Nov. 6 election, Clarkson, who was the GOP’s nominee for New Mexico secretary of state, said he’s been in “recovery mode,” but he’s keeping his options open about what he’ll do next. He does plan to stay in New Mexico. December 1, 2018. Tags: Boy-Scoutz 'n the Hood, District of Columbia Courts Marriage Bureau, driver's license, Dumb people, Dumbing down, Education, Gavin Clarkson, Homer Simpson, Homer vs. Dignity, Idiots, marriage license, New Mexico, passport, Stupid people, Television, The Simpsons, There's a New Mexico, TV, Washington D.C.. Dumbing down, Education, Television. Leave a comment. According to this article from NPR, at the Icahn School of Medicine at Mount Sinai in New York City, in order to get into the Alpha Omega Alpha honor society, you have to be in the top 25% of your graduating class. The school is eliminating the honor society because not enough blacks and Latinos were graduating in the top 25%. I’m not sure how getting rid of this honor society makes anyone better off. On the contrary – I see this as just one more example of the dumbing down of America’s educational system. As to the issue of why blacks and Latinos are underrepresented in the top 25%, my guess is that the school has lower admissions standards for blacks and Latinos than for everyone else. I could be wrong. And I’d be curious to hear anyone else explain a different reason in the comment section. Senior medical student Giselle Lynch has plenty of accomplishments to list when she applies for a coveted spot in an ophthalmology residency program this fall. But one box she won’t be able to check when she submits her application is one of the highest academic awards medical students can receive, election to the honor society Alpha Omega Alpha. It’s not because she didn’t excel. It’s because her medical school, the Icahn School of Medicine at Mount Sinai in New York City, put a moratorium on student nominations because it determined the selection process discriminates against students of color. The award is open to the top 25 percent of a medical school’s graduating class and can be a valuable career boost, making students more competitive for desirable residencies and jobs. Icahn administrators say the disparities in the selection process reflect deeper issues of racial inequality in medical education. Over the past five years, around 3 percent of students chosen for the distinction at Icahn were from a racial background that is underrepresented in medicine, which includes blacks and Latinos. In that same period, about 18 percent to 20 percent of each graduating class at Icahn came from those groups. The school made the change after Lynch led a group of fellow students in an effort to fight inequality at Icahn. The students collected data on how many students from underrepresented minorities were nominated to the honor society at Icahn and presented it in a series of meetings with school leadership last year. Lynch, who is black, recalls one particularly moving meeting when they showed photographs of Icahn’s past AOA students — and black and Latino faces were conspicuously sparse. Announced in May of this year, the decision at Icahn was a controversial one, because many students and faculty fear that not participating in the award puts Icahn students at a disadvantage when competing for slots in residency programs. The honor society has existed since 1902 and is a sought-after line on the résumés of medical students across the country. Membership can help students secure training in competitive specialties and is a predictor of success in academic medicine. Membership is generally open to the top 25 percent of medical students in a graduating class, as determined by their grades and scores on standardized tests, but only about 16 percent makes it in. Each medical school has its own criteria for making final selections including qualities like leadership or professionalism. Icahn is not alone in selecting a disproportionately low number of minority students for the honor society. A 2017 study in JAMA Internal Medicine showed that nationwide, black and Asian students were less likely than their white counterparts to be selected for the honor. Dr. Dowin Boatright, the study’s lead author and an assistant professor of emergency medicine at Yale, hypothesizes that the disparities may be related to racial inequalities in grading and standardized tests, a phenomenon well-documented in medical education literature. Grading based on clinical performance is subjective, he notes, since it often reflects a global assessment of a student rather than technical skills or performance on a test. “You’re graded on things that are completely vulnerable to bias, like, ‘How good is this medical student?’ ” Boatright says. Other medical schools are also considering how their AOA chapters can accurately reflect the racial makeup of their student bodies, according to Dr. Eve Higginbotham, the president of AOA board. And at the University of California, San Francisco, faculty and students are debating whether the honor society has a future there. Lucey says that UCSF changed its selection criteria for AOA in 2016 to focus less on grades. The number of minority students selected for the honor society that year increased to match the percentage of minorities in each graduating class. Dr. Jonathan Giftos, an internist in New York who was president of the Icahn chapter when he graduated in 2012, says disparities in the honor society are important to address because when medical education favors white students that can mean fewer minorities in leadership roles. “It feels like a layering on of accolades that makes people who are doing well do better, have more access and power and opportunity,” Giftos says. National AOA leadership says that diversity is a priority for the organization, but since every medical school is different, they leave the specifics of how students are chosen up to the school. Muller notes that Icahn has not officially closed its AOA chapter and will still nominate faculty and residents. And student activists at Icahn aren’t celebrating yet. Lynch says she now wants to focus on discrimination in grading and medical school admissions. This, she says, can help address the dearth of minority physicians in different specialities — a problem with negative consequences for the health of minority patients. September 8, 2018. Tags: Affirmative action, Alpha Omega Alpha, Alpha Omega Alpha honor society, Dumbing down, Education, Health care, Icahn School of Medicine, Icahn School of Medicine at Mount Sinai in New York City, mismatching, Political correctness, Politics, Racism, Social justice warriors. Dumbing down, Education, Health care, Political correctness, Racism, Social justice warriors. 2 comments. Shame on Trump for continuing Obama’s insane policy of hiring air-traffic controllers based on race instead of merit! When Obama was president, he abandoned the old system of hiring qualified air-traffic controllers who had a college degree in air-traffic control and/or were military veterans with aviation experience, because too many of these people were white males. Obama then replaced the old system with a new system that tried to achieve racial diversity by asking applicants how many different sports they had played when they were in high school. I explain this below in detail. The Wall St. Journal has also written an article about Trump’s continuation of Obama’s absurd policy, which you can read at this link. Now, to explain Obama’s policy in detail. When Obama was president, the Federal Aviation Administration stopped giving preferential treatment to air-traffic controller applicants who had passed classes from the 36 FAA-approved college aviation programs across the U.S., because too many of the people who passed these classes were white males. At the same time, the FAA also stopped giving preference to applicants who were military veterans with aviation experience. Under the new system, applicants were asked how many different high school sports they had participated in. For years, aspiring air-traffic controllers in the U.S. have enrolled in schools selected by the Federal Aviation Administration to offer special courses that could smooth the way for a job at the agency. Some school officials say their controller enrollment already has fallen off because of the FAA change. The FAA’s new stance “just doesn’t make sense,” said Douglas Williams, aviation-program director at the Community College of Baltimore County in Catonsville, Md… “They’re not getting the best-qualified applicants this way,” he said. Students who have studied for the controller degrees fear they wasted time and money. Navy veteran Oscar Vega recently completed the two-year air-traffic program at Mt. San Antonio College in Walnut, Calif. He said he passed the FAA controller aptitude test last year, so he was shocked when, in February, he failed the biographical assessment. The schools estimate that more than 3,000 graduates have been removed from the FAA’s hiring pool because of the new policy. For almost the last 25 years, until the off-the-street hiring process was implemented in February, the FAA recruited controllers heavily from among military veterans possessing aviation experience and from the 36 FAA-approved college aviation programs across the U.S.
Trump has now been president for more than a year, and this policy remains in place. June 6, 2018. Tags: Affirmative action, air-traffic controllers, Airplanes, airports, Barack Obama, Civil rights, Donald Trump, Dumbing down, Education, Flying, Fox News, Is the FAA sacrificing your safety for diversity?, News, Obama, Politics, Racism, safety, Tucker Carlson. Barack Obama, Donald Trump, Dumbing down, Education, Politics, Racism. Leave a comment. Amy Wax, a professor who teaches at University of Pennsylvania law school, said the school has lower admission standards for blacks than for whites. A 2009 Princeton study showed Asian-Americans had to score 140 points higher on their SATs than whites, 270 points higher than Hispanics and 450 points higher than blacks to have the same chance of admission to leading universities. Since University of Pennsylvania is an Ivy League school, if falls under that category of “leading universities.” The SAT (for admission to undergraduate school) is not the same as the LSAT (for admission to law school), but the basic principle of having different admission standards for different races is the same. The school punished professor Wax for her statement by banning her from teaching first year classes, but the school has refused to provide any proof that her statement was false. 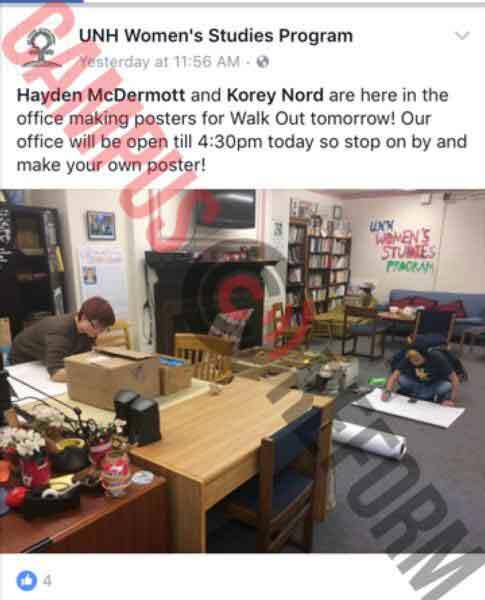 Black Lives Matter said they will start disrupting classes if the school does not fire her. In my opinion, a much better response would have been for Black Lives Matter to challenge professor Wax to a debate on the subject. 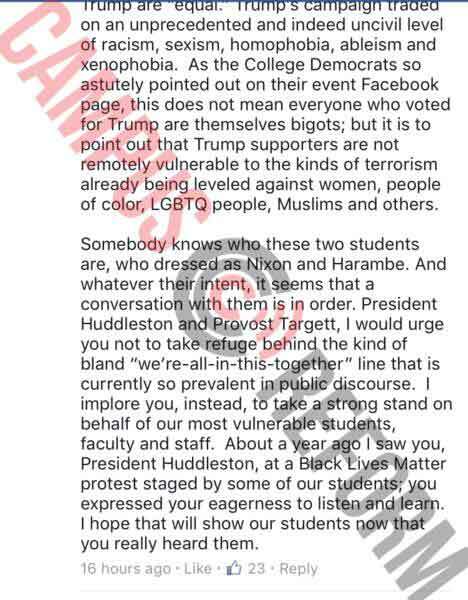 In fact, by threatening to disrupt classes instead of challenging professor Wax to a debate, Black Lives Matter has just proved that professor Wax’s claim is correct. Anyone who is truly qualified to get into an Ivy League law school would rather participate in a debate than disrupt classes. Black Lives Matter has unintentionally confirmed that professor Wax’s statement is true. March 20, 2018. Tags: Affirmative action, Amy Wax, Dumbing down, Education, Political correctness, Politics, Racism, Social justice warriors, University of Pennsylvania, University of Pennsylvania law school. Dumbing down, Education, Political correctness, Racism, Social justice warriors. Leave a comment. This person was obviously hired for something other than her ability to actually do the job. This entire thing would been prevented if they had hired someone who was actually qualified. Now the company is trying to remove all traces of this information from the internet. Good luck with that! When Congress hauls in Equifax CEO Richard Smith to grill him, it can start by asking why he put someone with degrees in music in charge of the company’s data security. And then they might also ask him if anyone at the company has been involved in efforts to cover up Susan Mauldin’s lack of educational qualifications since the data breach became public. It would be fascinating to hear Smith try to explain both of those extraordinary items. If those events don’t put the final nails in his professional coffin, accountability in the U.S. is officially dead. And late Friday Equifax said both Mauldin and the company’s chief information officer have retired effective immediately. Equifax “Chief Security Officer” Susan Mauldin has a bachelor’s degree and a master of fine arts degree in music composition from the University of Georgia. Her LinkedIn professional profile lists no education related to technology or security. This is the person who was in charge of keeping your personal and financial data safe — and whose apparent failings have put 143 million of us at risk from identity theft and fraud. It was revealed this week that the massive data breach came due to a software vulnerability that was known about, and should have been patched, months earlier. I emailed Equifax’s EFX, -3.81% multiple media relations people but have not heard back. I was tipped off to this by a contact on Twitter. There has been very little coverage so far of Susan Mauldin’s background and training. Given the ongoing disaster of the hack and Equifax’s handling of the affair, the media spotlight has so far been elsewhere. Reporting by a few tech-savvy blogs has found that as soon as the Equifax data breach became public, someone began to scrub the internet of information about Mauldin. Her LinkedIn page was made private and her last name replaced with “M.” Two videos of interviews with Mauldin have been removed from YouTube. A podcast of an interview has also been taken down. Unhappily for the scrubbers, the internet archives some material and a transcript of one interview has survived. To play devil’s advocate, Mauldin does at least have 14 years’ private-sector experience since getting her degrees. Music, to stretch the point as far as possible, is an academic subject that can be highly mathematical. The question is how far any of this can take you in this field if you don’t have a formal education in technology. Mauldin’s counterparts at Equifax’s two biggest competitors, TransUnion TRU, -3.41% and Experian EXPN, -0.89% studied computers and science, respectively. But she also said she focuses college recruitment, understandably, on “universities that have programs in security, cyber security, or IT programs with security specialties.” She did not mention music composition. Everything about this fiasco just gets more and more surreal. September 16, 2017. Tags: Dumbing down, Equifax, Equifax CEO Richard Smith, Susan Mauldin. Dumbing down. Leave a comment. Mohamed Noor is the Minneapolis police officer who recently shot and killed an innocent, unarmed, law abiding woman named Justine Damond, after Damond had called 911 to report that she had heard a possible sexual assault taking place near her home. Officer Moor has not offered any explanation for his actions. He is not claiming self defense. July 23, 2017. Tags: Affirmative action, Diversity, Dumbing down, Islamization, Justine Damond, Mohamed Noor, Police brutality, Political correctness, Politics, Racism, Social justice warriors, Violent crime. Dumbing down, Immigration, Islamization, Police brutality, Political correctness, Racism, Social justice warriors, Violent crime. 3 comments. These social justice warriors at Evergreen State College are like three year olds who throw a tempter tantrum to get what they want. And the school’s president, George Bridges, is a weakling and a wimp for caving in to their temper tantrum and giving them what they want. How hard could it have been for him have said, “You are adults. You chose to attend this school. And with that choice comes the responsibility to do your homework.”? Let it be known far and wide that Evergreen State College is not a real college, and that no student who truly values education should go there. On the positive side, I’m pretty certain that none of these social justice warriors who are demanding permission to skip their homework are majoring in any subjects where skipping their homework could have any negative consequences to innocent victims in the real world. I doubt that any of these social justice warriors are majoring in subjects that would allow them to get jobs designing bridges, or performing surgery, or writing the computer software for self driving cars. May 30, 2017. Tags: Dumbing down, Education, Evergreen State College, George Bridges, Political correctness, Politics, Racism, Social justice, Social justice warriors. Dumbing down, Education, Political correctness, Racism, Social justice warriors. 1 comment. According to this article from the New York Times, Trayvon Martin was just awarded a bachelor’s degree in aeronautical science from Florida Memorial University. Martin worked very hard to earn this degree. For example, after a school security camera showed Martin marking graffiti, a search of his backpack showed that it contained 12 pieces of women’s jewelry, including silver wedding rings, and earrings with diamonds. The backpack also had a screwdriver, which is often used as a tool by burglars. Martin said that the jewelry belonged to a friend, but refused to say who that friend was. It’s nice that Martin has such an interest in geology and metallurgy. It’s also a good sign of Martin’s moral character that he protected his friend. In addition, testing showed that there was THC, the active ingredient in marijuana, in Martin’s system. This is exactly the kind of thing that pilots need in order to safely transport their passengers. Furthermore, Martin broke George Zimmerman’s nose, and smashed Zimmerman’s head against the concrete. There are very few pilots who have ever managed to achieve this much bodily harm to Zimmerman. Based on all of these accomplishments, I’m certain that Martin will make an excellent pilot. I can’t wait to have him as my pilot the next time I go on vacation. I’m sure that Martin’s degree will greatly enhance the reputation of Florida Memorial University, as well as increase the prestige and earning potential of its graduates. When it comes to STEM subjects, MIT, Caltech, and Carnegie Mellon are usually considered to be the best universities. And for sure, the people who go to these great halls of learning do possess a superior level of intellect and intelligence. But I think Martin’s hard work and achievements have shown that Florida Memorial University outperforms and eclipses them all when it comes to attracting, teaching, and graduating the very best and brightest mathematical and scientific geniuses. I have no doubt that Martin will go on to win a Nobel Prize in Physics, as well as a Fields Medal. Copernicus, Galileo, Kepler, Newton, Einstein, and Hawking are all well regarded for their scientific genius, and I’m certain that in 500 years from now, Martin’s name will be just as well known for his contributions to the world of scientific knowledge and discovery. May 7, 2017. Tags: aeronautical science, air travel, Airplanes, Black lives matter, Dumbing down, Education, flight school, Florida Memorial University, Humor, Pilots, Political correctness, Politics, Racism, Satire, Social justice warriors, Trayvon Martin. Black lives matter, Dumbing down, Education, Humor, Political correctness, Racism, Social justice warriors. 2 comments. 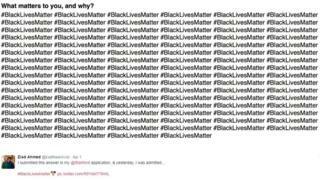 News that a high school student wrote nothing but #BlackLivesMatter on his personal statement in an application to California’s Stanford University – and got in – has been raising some eyebrows. Stanford University was ranked third in the world by Times Higher Education last year, and only admitted about 1 in 20 of the students who applied for an undergraduate place. Ziad Ahmed, a high school student in New Jersey, proudly tweeted his news and received a range of reactions in response. There were congratulations aplenty of course – “forever in love with your audacity”, laughed one user. But several were also surprised by the news. One detractor accused him of “virtue signalling”. Another remarked “a real [Black Lives Matter] ally would’ve wrote something poignant instead of this … attempt to look progressive”. Admirers pointed out that Mr Ahmed had plenty to offer on top of his activist statement though. “Have you seen his profile? With a resume like that nothing could derail him,” said one. In a profile of Mr Ahmed, Mic website notes that he has founded his own teenage marketing consulting firm, as well as an organisation to promote tolerance. He worked for Hillary Clinton’s presidential campaign and had also been invited to the White House under Barack Obama’s administration. Stanford won’t be the only thing he’s thinking about though. Mr Ahmed has also been accepted to Yale and Princeton universities and he has until May to decide which one to choose. April 7, 2017. Tags: Black lives matter, Dumbing down, Education, Political correctness, Politics, Social justice, Social justice warriors, Stanford, Stanford University. Black lives matter, Dumbing down, Education, Political correctness, Social justice warriors. 1 comment. April 3, 2017. Tags: Day care, Daycare, Dumbing down, Education, Parenting, Politics, Psychology, Social justice warriors. Dumbing down, Education, Parenting, Politics, Psychology, Social justice warriors. Leave a comment. I was so hoping that the STEM subjects would be immune from the politically correct nonsense that goes on on college campuses. However, at Bucknell University, electrical engineering professor Meriel Huggard canceled class for one day, and ordered her students to attend a diversity summit instead. Folks, if your child is planning on majoring in electrical engineering, I suggest that you not send them to Bucknell University. Tuition at Bucknell University is $50,152 per year. And that’s not even including room and board, or “other expenses.” When you do include those things, it ends up being $65,268 per year. That’s a lot of money to pay so your child can be brainwashed in political correctness. Multiply that by four, and you’ve got enough money to buy a decent three bedroom house in most areas of the country. As is often the case, the more expensive the college, the more insane it is. March 30, 2017. Tags: Bucknell University, Diversity, Dumbing down, Education, electrical engineering, Meriel Huggard, Political correctness, Politics, Racism, Social justice warriors, STEM. Dumbing down, Education, Political correctness, Racism, Social justice warriors. 1 comment. New York state ends literacy test for prospective teachers because too many blacks and Hispanics failed. I wonder if they will extend this to other areas. The Board of Regents on Monday eliminated a requirement that aspiring teachers in New York State pass a literacy test to become certified after the test proved controversial because black and Hispanic candidates passed it at significantly lower rates than white candidates. The radical left thinks that racial diversity is more important than competence. I wonder if they will be extending this kind of insanity to other professions, such as to medical doctors who perform surgery to save people’s lives, or to engineers who design bridges that are safe and which are able support the weight of all the cars, trucks, and buses that drive across them, or to auto mechanics who fix the brakes on people’s cars so they don’t crash and die. The rate of AIDS among black women is 27 times the rate among white women. Based on the same logic, the test which detects HIV antibodies in the bloodstream is also racist, and therefore, should also be eliminated. March 15, 2017. Tags: Dumbing down, Education, Illiteracy, Literacy, New York, new york state, Political correctness, Politics, Public schools, Racism, Reading, Social justice warriors, war against achievement. Dumbing down, Education, Political correctness, Politics, Racism, Social justice warriors, War against achievement. 2 comments. Sources said education officials also were concerned about the disparity between passing rates among white and minority candidates. In 2013-14, only 48 percent of aspiring black teachers and 56 percent of prospective Hispanic educators passed, compared to 75 percent of white candidates, the website Chalkbeat reported in February. The public school bureaucrats think that when it comes to hiring teachers, racial diversity is more important than knowing how to read. This is what happens when you put idiots in charge. March 7, 2017. Tags: Dumbing down, Education, Political correctness, Politics, Public education, Public schools, Racism, Social justice, Social justice warriors. Dumbing down, Education, Political correctness, Racism, Social justice warriors. 4 comments. It’s given by a woman with a Ph.D. in history who complains that she can’t find a husband who is taller than herself. February 26, 2017. Tags: Dumbing down, TED, Ted Talk, Ted talks, TEDx, TEDx Talk, TEDx Talks. Dumbing down. 1 comment. January 18, 2017. Tags: CNBC, Dumbing down, Math, Media bias. Dumbing down, Math, Media bias. 1 comment. Frederick, Md. – A school system employee in Maryland who had a lighthearted quarrel with a student on Twitter over the student’s spelling has been fired. Katie Nash tells The Frederick News-Post that she was fired on Friday afternoon from her $44,000-a-year job. A Frederick County Public Schools spokesman confirmed that Nash had been let go, without providing details. She says she was told not to tweet anymore after the interaction. January 17, 2017. Tags: Dumbing down, Education, Literacy, school, spelling. Dumbing down, Education. 1 comment. As is almost always the case in situations such as these, none of the crybaby, pro-censorship professors cited in this article are STEM majors. In addition, some of the professors involved illegally used university resources to promote their political agenda. I fully support their right to promote their political agenda, but they should do so on their own dime and on their own time. 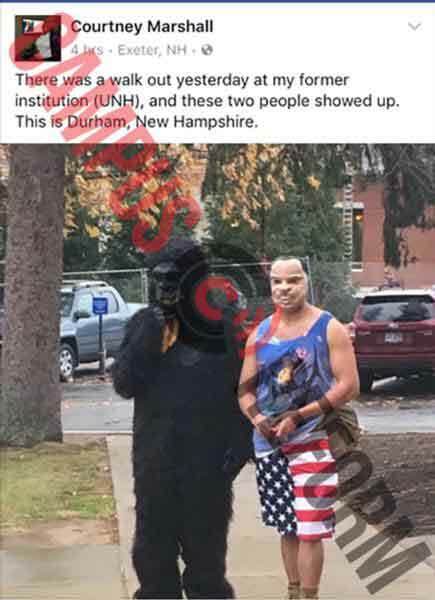 Professors at the University of New Hampshire are calling for the expulsion of two students who counter protested an anti-Trump rally while wearing Harambe and Richard Nixon costumes. 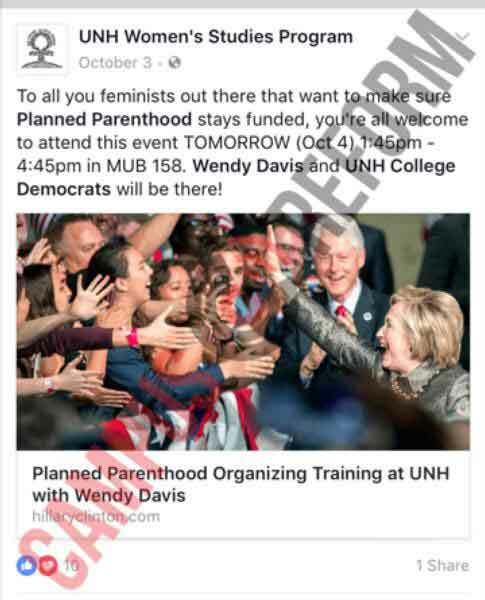 Two of the professors are part of the Women’s Studies Department, which recently came under fire for promoting the protest against Trump on its official Facebook page. 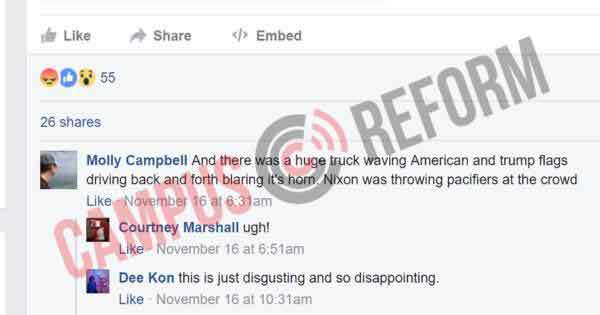 The post led several current professors to call for the expulsion of the students, even writing sample letters to administrators in the comments. “Time to call for an investigation leading to the expulsion of these students,” said Robin Hackett, an associate professor of English as well as a faculty member of the Women’s Studies Program, before listing the names of several administrators for professors to direct their complaints. “Are they assholes? Definitely; are they Racist agitators? Yes, but probably only because of personal ignorance, which isn’t an excuse,” Beemer asserted. 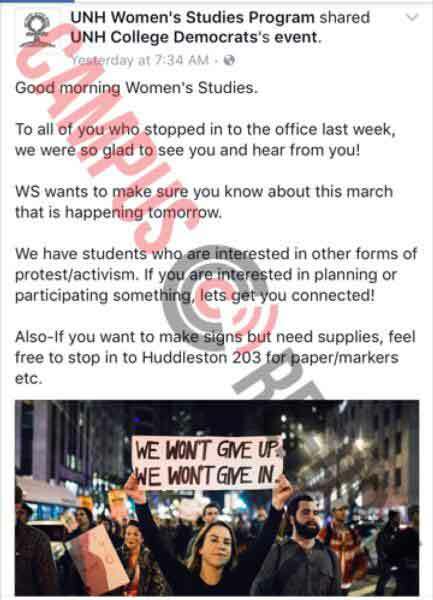 At least two of the professors who called for disciplinary action against the counter-protesters are members of the Women’s Studies Program, which sanctioned the anti-Trump rally on its official Facebook page, flouting tax rules that prevent universities from engaging in partisan political activity. The march, organized by the UNH College Democrats, specifically brands itself as an anti-Trump event in the description. “This is to show our solidarity with all people who are at risk of getting their rights taken away by a Trump presidency, and to ensure that it is known that Trump’s hateful rhetoric does not represent our generation and we will not allow any anti-climate, racist, sexist, or xenophobic policies to win through,” the description states. Erika Mantz told Campus Reform the university is “troubled” by the posts, although they have not yet been removed from the page. 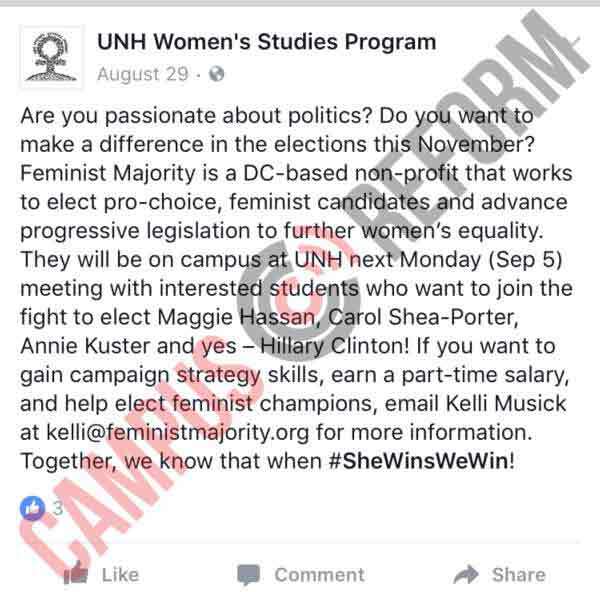 However, the Women’s Studies Program has involved itself in political activity several times prior in now-deleted Facebook posts, including inviting students to an event with Feminist Majority, a nonprofit that “works to elect pro-choice feminist candidates,” and posting links to events on Hillary Clinton’s website. 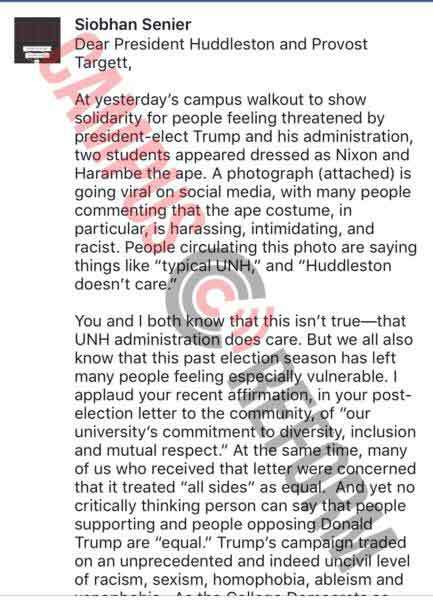 New Hampshire State Representative Yvonne Dean-Bailey criticized UNH in a statement to Campus Reform for allowing school resources to be used to “promote the liberal agenda” and said the school must remain focused on providing a “quality education” to students. November 21, 2016. Tags: 2016 election, Donald Trump, Dumbing down, Education, Politics, professors, Robin Hackett, Social justice warriors, University of New Hampshire. Donald Trump, Dumbing down, Education. Leave a comment. With puppies, Play-doh and coloring books, safe spaces and therapy sessions turn universities into a joke. One of the more amusing bits of fallout from last week’s election has been the safe-space response of many colleges and universities to the election of the “wrong” candidate. But on closer examination, this response isn’t really amusing. In fact, it’s downright mean. Trump’s substantial victory, when most progressives expected a Hillary landslide, came as a shock to many. That shock seems to have been multiplied in academe, where few people seem to know any Trump supporters — or, at least, any Trump supporters who’ll admit to it. Stanford emailed its students and faculty that psychological counseling was available for those experiencing “uncertainty, anger, anxiety and/or fear” following the election. So did the University of Michigan’s Flint campus. Student Daniel Tancredi reported that the people who attended were “fearful” about the results of the election. As the event took place, students — roughly 20 or so, according to the Sun’s video — wrote their reactions and emotions on poster boards with colored markers, or with chalk on the ground. A chilly day on the Ithaca campus, at one point the demonstrators huddled together as what appeared to be a barista brought them warm drinks. Several adults, most likely professors, stood around the group. The event appeared to take on the atmosphere of a funeral wake. At Tufts, the university offered arts and crafts, while the University of Kansas reminded students that there were plenty of “therapy dogs” available. At other schools, exams were cancelled and professors expressed their sympathy to traumatized students. It’s easy to mock this as juvenile silliness — because, well, it is juvenile silliness of the sort documented in Frank Furedi’s What Happened To The University? But that’s not all it is. It’s also exactly what these schools purport to abhor: An effort to marginalize and silence part of the university community. But when you treat an election in which the “wrong” candidate wins as a traumatic event on a par with the 9/11 attacks, calling for counseling and safe spaces, you’re implicitly saying that everyone who supported that “wrong” candidate is, well, unsafe. Despite the talk about diversity and inclusion, this is really sending the signal that people who supported Trump — and Trump carried the state of Michigan, so there are probably quite a few on campus — aren’t really included in acceptable campus culture. It’s not promoting diversity, it’s enforcing uniformity. It’s not promoting inclusion, it’s practicing exclusion. And, though it pretends to be about nurturing, it’s actually about being mean to those who don’t fall in the nurtured class. Schlissel says he wants the University of Michigan to be “a welcoming place for all members of society,” but how welcome can students who backed Trump feel in the wake of this performance? A viral (and profane) YouTube rant by Jonathan Pie points out that this sort of fear and “othering” of political opponents is why Trump won, and why Democrats were shocked by his victory. Pie’s right to tell people that they should engage in discussion rather than dismissal of people they disagree with, and colleges and universities should listen to him. If, that is, it’s not too triggering. November 14, 2016. Tags: 2016 election, Censorship, Donald Trump, Dumbing down, Education, Free speech, Glenn Harlan Reynolds, Glenn Reynolds, Political correctness, Politics, Social justice warriors. Donald Trump, Dumbing down, Education, Social justice warriors. Leave a comment. There was a steady flow of students entering Ms. Boynton’s office Wednesday. They spent the day sprawled around the center, playing with Play-Doh and coloring in coloring books, as they sought comfort and distraction. November 13, 2016. Tags: 2016 election, Donald Trump, Dumbing down, Education, Politics, Social justice warriors. Donald Trump, Dumbing down, Education, Politics, Social justice warriors. 2 comments. A Yale economics professor has reportedly made a midterm exam optional for students who are too upset about Donald Trump’s presidential win to study. Jon Victor, the managing editor of Yale Daily News, reported that the unnamed professor emailed the news to students Tuesday night. “I am getting many heartfelt notes from students who are in shock over the election returns,” the Econ 115 professor wrote, according to a screenshot obtained by Mr. Victor. Yale Daily News reported Wednesday that many students were left “reeling” after Mr. Trump’s stunning victory. “Teary eyes, bowed heads and cries of disbelief emerged from election-watching gatherings on Yale campus,” the newspaper reported. Mr. Victor tweeted that despite emotional pleas from some biology students, students taking BIO 114 will be forced to take their exams on Wednesday. “Other students continue to request dean’s excuses, extensions given tonight’s election results pointing toward a Donald Trump victory,” he wrote. November 13, 2016. Tags: 2016 election, Donald Trump, Dumbing down, Education, Politics, Social justice warriors. Donald Trump, Dumbing down, Education, Politics, Social justice warriors. Leave a comment. A New York elementary school has canceled its traditional mock presidential election after kids chanted “Trump” and repeated “negative rhetoric about minorities,” according to the school principal. Children at Jericho Elementary School in Centereach will be voting for their favorite school lunch instead of their favorite presidential candidate after their mock campaign season got too heated. School officials decided to cancel the mock election to prevent minority students “from feeling uncomfortable,” according to Glen Rogers, the school’s principal. “Teachers have said they’ve heard some kids in the cafeteria chanting ‘Trump! Trump! Trump!’ or saying they don’t want Muslims here,” Mr. Rogers told ABC News. November 4, 2016. Tags: 2016 election, Donald Trump, Dumbing down, Education, Politics. Dumbing down, Education, Politics. 1 comment. For 11 years, Professor Duke Pesta gave quizzes to his students at the beginning of the school year to test their knowledge on basic facts about American history and Western culture. The most surprising result from his 11-year experiment? Students’ overwhelming belief that slavery began in the United States and was almost exclusively an American phenomenon, he said. Pesta, currently an associate professor of English at the University of Wisconsin Oshkosh, has taught the gamut of Western literature—from the Classics to the modern—at seven different universities, ranging from large research institutions to small liberal arts colleges to branch campuses. He said he has given the quizzes to students at Purdue University, University of Tennessee Martin, Ursinus College, Oklahoma State University, and University of Wisconsin Oshkosh. The origin of these quizzes, which Pesta calls “cultural literacy markers,” was his increasing discomfort with gaps in his students’ foundational knowledge. “They came to college without the basic rudiments of American history or Western culture and their reading level was pretty low,” Pesta told The Fix. Before even distributing the syllabus for his courses, Pesta administered his short quizzes with basic questions about American history, economics and Western culture. For instance, the questions asked students to circle which of three historical figures was a president of the United States, or to name three slave-holding countries over the last 2,000 years, or define “capitalism” and “socialism” in one sentence each. Often, more students connected Thomas Jefferson to slavery than could identify him as president, according to Pesta. On one quiz, 29 out of 32 students responding knew that Jefferson owned slaves, but only three out of the 32 correctly identified him as president. Interestingly, more students— six of 32—actually believed Ben Franklin had been president. Pesta said he believes these students were given an overwhelmingly negative view of American history in high school, perpetuated by scholars such as Howard Zinn in “A People’s History of the United States,” a frequently assigned textbook. Pesta, an outspoken critic of Common Core, said he believes that these attitudes will become more pronounced moving forward, due to Common Core architect David Coleman’s rewrite of Advanced Placement American and European history standards. “We must absolutely teach those areas where Western culture has fallen short, but always with the recognition that such criticism is possible because of the freedoms and advantages offered by Western culture,” he said. October 31, 2016. Tags: Dumb people, Dumbing down, Education, Idiots, Political correctness, Politics, Racism, slavery, Social justice warriors, Stupid people. Dumbing down, Education, Political correctness, Politics, Racism, Social justice warriors. Leave a comment. There is no academic subject that is more meritocratic, and less discriminatory, than math. What this college is doing is wrong. For their entire careers at this university, these women will be known as the math professors who got hired not because of their abilities at math, but because of their gender. What this school is doing is condescending and sexist, and it reinforces the false stereotype that woman are not good at math. The University of Melbourne has taken the extraordinary step of opening up jobs to female applicants only in an attempt to drive change in the male-dominated area of mathematic academia. Only about a quarter of all mathematics academics in Australia are female, and the university is now advertising three positions in its School of Mathematics and Statistics for female applicants only. It is believed to be the first time it has limited applications to women only for permanent academic positions. The jobs, in pure mathematics, applied mathematics and statistics, may range in level from lecturer, to senior lecturer, to associate professor, depending on the candidate’s experience. The head of the School of Mathematics and Statistics, Professor Aleks Owczarek, said the decision had been taken to promote change. “We clearly have an issue with attracting female applicants appropriately to our workforce,” Professor Owczarek said. Women are notoriously underrepresented in the fields of science, technology, engineering and mathematics, but mathematics has the lowest representation of all studies. Lesley Ward, an Associate Professor of Mathematics at the University of South Australia, and chair of the Women in Maths Special Interest Group of the Australian Mathematical Society (WIMSIG), told ABC’s PM it gets worse the more senior the rank. “At the first academic rank of associate lecturer it’s still only 30 per cent women, by the time you get up to the second highest rank of associate professor it’s down to under 20 per cent women,” Professor Ward said. She said there were many reasons for the low percentages, but a key cause was unconscious bias which sees men promoted more often than women. Because of that, Professor Ward welcomed The University of Melbourne’s move, saying change so far had been slow. “There have been many measures taken by universities and by individuals and by professional societies to help the advancement of women and the achievement of gender equity in these disciplines,” she said. The University of Melbourne positions have been advertised using a special measure of the Victorian Equal Opportunity Act. “The use of this kind of special measure that we’re using has been used with regards to Indigenous employment,” Professor Owczarek said. “For this kind of positions, permanent continuing academic positions, I believe it might be the first time it’s been used,” he added. Discrimination lawyer Rowan Skinner said the Act allows organisations to take actions to promote equality. “The Act specifically permits an organisation to engage in what is overtly a discriminatory act, but for the purposes of ensuring that there is equal opportunity overall,” Mr Skinner said. May 20, 2016. Tags: Affirmative action, Education, Feminism, Gender equality, Math, Melbourne University, Sexism, Women's rights. Dumbing down, Education, Math, Sexism. Leave a comment. Personally, I think this politicians’ expectations of black people are too low. But they did choose to vote her into office, and I have no right to tell them what their goals in life should or shouldn’t be. January 25, 2016. Tags: Dumbing down, Humor, New York, New York City, News, Politics, public urination, Racism. Dumbing down, Politics, Racism. 2 comments. A city councilwoman in Oakland, California, wants the police to lower their standards on their written test so more blacks can become police officers. The exam measures reading comprehension and other things that are necessary for the police to properly to their job. You know what? I’m sick of fighting against this kind of nonsense. And I don’t live in that city anyway. So let them adopt her proposal. Let’s see what happens when a city hires police officers who don’t know how to read at the level that their job requires. It would make a great experiment. An Oakland City Council member who wants the Police Department to hire more African American officers has focused her attention on the written exam for new applicants — which is the point where many candidates get eliminated. Councilwoman Desley Brooks suggested the department could consider lowering the passing score on the written test or getting rid of the exam altogether. … the written exam is a critical indicator of whether an officer can fill out police reports, gather testimony from witnesses and comprehend the laws he or she has to enforce. October 18, 2015. Tags: Affirmative action, Desley Brooks, Dumbing down, Education, Illiteracy, Literacy, Oakland California, Police, Politics, Racism. Dumbing down, Education, Politics, Racism. 3 comments.